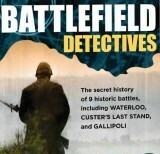 Offering the secret history of nine historic battles, Battlefield Detectives has made its debut on DVD thanks to Athena. Investigators re-create the conditions of history’s major battles using 3-D computer models, maps, artifacts, original footage, and dramatic reenactments. From the muddy fields at Hastings to the sweltering jungles of Vietnam, a variety of experts offer compelling new evidence on the wars that shaped the modern world. Produced in 2003, Battlefield Detectives aired on the History Channel. The 3-volume boxed set includes a 16-page viewer’s guide and biographies of major military leaders, among other bonus features. One of the reasons that I love history is seeing how closely life as we know it could have changed by the slightest effect. For example, what would have happened if Japan hadn’t attacked Pearl Harbor? If they hadn’t, would the United States have continued its isolationist stance and thereby allowed the Nazis to assimilate England? Imagine how the world would be today if the Nazis had won World War II. Other example would include the ones on this disc which include nine looks at how history was decided by a variety of forces which frequently challenges the established history and conventional wisdom that’s been accepted for years. Why did Napoleon, who was a tactical genius lose the battle at Waterloo? Why did the British and Australian troops get massacred at Gallipoli? These battles and more make up this excellent series that explores what happened long ago through 3-D computer models, maps, artifacts, original footage, and dramatic reenactments, and investigating the scene of the battles, all to learn the truth of what happened. I had assumed that these episodes would solely be made up of some armchair historians sharing their thoughts but it was much more than that. 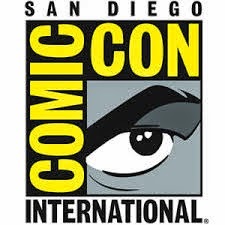 Of course historians participate but I didn’t expect to hear from geologists, climatologists, psychologists, meteorologists, firearms experts, forensic investigators, engineers, and a lot of other experts that investigate each battlefield and offer their combined talents to discover the full picture of what happened. That inclusive approach really makes this series stand out from a lot of other historical shows since the episodes go into a lot further detail than usual as they cover ever aspect of the battle including the reasons why it happened and how the end result affected history. Another interesting feature of this series to note is the fact that it doesn’t just cover battles from the 1800s since it also devotes the final episode to the war between the United States and Vietnam and offers reasons why it ended the way it did. Who Got Lucky at Hastings? - An academic uses modern management theory to determine whether William was a better leader than Harold at Hastings in 1066. Meanwhile, an equestrian historian assesses the behavior of horses in battle, and computer experts create 3-D maps of the Hastings area to reveal the secret of William’s success. Agincourt’s Dark Secrets - Medieval warfare specialists investigate how terrain affected the way the 15th-century Battle of Agincourt was waged, what the rare battlefield artifacts tell us, and just what happens when an English bodkin point meets French armor. A remarkable document written just before the battle may answer the key question-not how did the English win, but how did the French lose? What Sank the Armada? - The sinking of the Spanish Armada in the summer of 1588 has been attributed to English heroism, Spanish incompetence, and bad weather. Now archaeologists are working with oceanographers, meteorologists, and ship design experts to uncover the real reasons for the Armada’s disaster. Trafalgar’s Fatal Flaw – New research shows that Britain’s most famous naval triumph, the 1805 Battle of Trafalgar, was anything but inevitable. Far from executing a carefully developed plan, Nelson sailed straight at the enemy broadsides based on little more planning than a recently discovered “back of the envelope” tactical sketch. Massacre at Waterloo – What went wrong for the French at Waterloo on June 18, 1815? Experts re-create the defensive ridge where Wellington stationed the allied troops, assess the impact of the weather conditions on Napoleon’s artillery, and consider the psychological state of his commander on the ground, Marshal Ney. The Charge of the Light Brigade – Researchers use satellite technology and archaeological finds to unearth the truth about what happened at Balaklava during the most celebrated battle of the Crimean War. How disastrous was the British cavalry charge-and who were the actual heroes in the defense of Balaklava? Custer’s Last Stand - Native American eyewitness accounts tell a new story of events during the Battle of the Little Bighorn: of chaos and panic, with no gallant last stand by Custer and his men. Using the methods of crime scene investigation, forensic scientists are uncovering evidence of what really happened. The Gallipoli Disaster - Historians show how bad maps and worse intelligence produced the catastrophe of Gallipoli in 1915, and geologists reveal how terrain won the battle for the Turks and lost it for the Allies. Modern experts conclude that no amount of leadership, planning, or luck could have saved this doomed military venture. Vietnam’s Bloody Secret - Veterans from both sides explain how state-of-the-art weaponry and a huge budget failed to overcome the morale and inventiveness of the communist forces. Experts show how America never really understood who it was fighting, what motivated its enemies, or what methods they used. Battlefield Detectives is presented in anamorphic wide-screen transfer (1.78:1) that’s decent but nowhere as good as it could be. This is a DVD set so that’s somewhat understandable, but the series had a soft look which really hurt the overall clarity and detail of the episodes. Colors are varied but somewhat muddled but the flesh tones are natural looking for the most part. Black levels aren’t as solid as I would have liked either. This is your basic DVD transfer that reminds me why I love Blu-rays so much. Battlefield Detectives offers a Dolby Digital English 2.0 stereo mix that does the job fairly well. This is a front channel-centric mix with an emphasis on the dialogue which isn’t that surprising for a historical show. The dialogue is clear and intelligible and the occasional sound effects used to emphasis the historical recreations also sound pretty good and sharp. For this kind of show, this mix is really all it needs to tell its story. While there aren’t too many extras on the discs themselves, this set does come with an interesting booklet that contains a lot of relevant information for those who want to learn more. Booklet- A 16-page viewer’s guide with articles on the Anglo-Saxons and Normans, the treasure ship Girona,the Crimean War, the history of Kemal Atatürk, and Sun Tzu’s The Art of War, and a map of Bonaparte’s battles; as well as biographies of major military leaders; plus Nelson’s notable quotes, the story of “The Charge of the Light Brigade” poem, and discussion questions at athenalearning.com. There’s no disguising that this is a low budget show, but that doesn’t detract from the content itself which I found fascinating. The episodes really make you think and if you’ve learned about them in the past, be prepared to have the accepted history that many of us have to come accept be challenged by these new facts. Episodes like “Custer’s Last Stand” are especially illuminating since they not only show an alternate look at the battle, but it also proves that not only was Custer outnumbered, but he was also outgunned by Indians who had a lot more firepower than just the bows and arrows attributed to them. By cataloging the spent shell cases of the different guns and rifles used at the battle, the researchers were even able to trace the course of the battle from the start to the desperate end, when Custer’s men huddled together before trying to escape the Indians’ wrath. There’s such a wealth of new information that any history buff will love this series.